WELCOME, TO ALL THINGS RE-ANIMATOR! 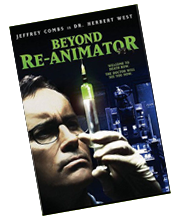 Welcome to the official RE-ANIMATOR FILMS web site. The Re-Animator film series was launched in 1985 by producer, Brian Yuzna and director, Stewart Gordon. With it's quirky sense of humor and off-the-wall gore, it soon be came a cult classic. 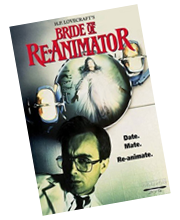 Eventually, it was followed by Bride of Re-Animator (1989) and Beyond Re-Animator (2003) fulling the desires of fans for more mind-splitting gore. Ultimately, it became a musical, playing worldwide. 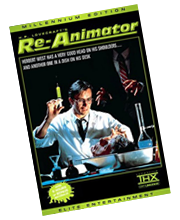 Also known for Honey, I Shrunk the Kids (1989), producer/director, Brian Yuzna invites you explore the world of Re-Animator here on this site. You can watch clips from the various films on the VIDEO page or check out behind the scenes photos on GALLERY page. 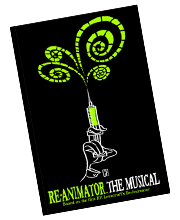 Want "Re-Animator" products? We've got them; just click on the STORE link. And, we have more surprises planned. So come back often. 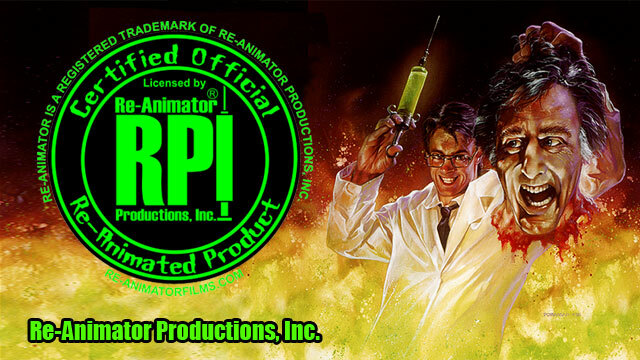 Re-Animator Productions, Inc (RPI) is the official entity that handles all business matters for the Re-Animator Films series. Click here: All business inquiries are reponded to promptly.